This event gives your business the opportunity to find out more about the Public Sector contracts for goods and services, don’t miss out on this opportunity to meet, introduce yourself and have a chat with the people directly involved. In Scotland around £8bn of public sector goods and services are tendered each year with contracts ranging from less than £1000 to over £20m. We know the Procurement process can sometimes appear confusing and that many businesses are unclear how to meet local Buyers from the Public Sector. 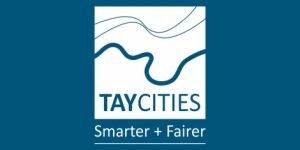 Therefore we would like to invite any business keen to find out more about bidding for work from the Public Sector to our free Tayside Meet the Buyer event. Angus Council, Dundee City Council, Perth & Kinross Council, NHS Tayside, Universities, Colleges, Tayside Contracts etc. Buyers are keen to meet with new potential Suppliers to chat about upcoming contracts, how they go about tendering and what they look for when buying goods and services for their organisations be it personal care, building works, transport, catering etc. There will be some short information sessions delivered throughout the day covering topics including Quick-quotes for Smaller Contracts and Understanding the Public Contracts Scotland website. This is an informal event which is open to any business – all welcome.